The strategies employed by flowering plants to draw in their pollinators are many and varied. Some have entered into exclusive partnerships, contriving methods by which their rewards are shared with a single animal species and hence presumably increasing the likelihood of that species visiting them. Once remarkable example of such a partnership is found among the figs. To the casual observer, fig trees might appear to never produce flowers. However, immature figs are in fact closed inflorescences called syconia with the flowers produced on the inside of the fig, never exposed to the outside world. The only way for pollinators to reach the fig flowers is through a tiny hole or ostiole at the fig's apex. This ostiole is used by the fig's pollinators, tiny female wasps of the chalcidoid family Agaonidae, who enter the fig in search of places to lay their eggs. The wasp herself does not leave the fig again after laying but her eggs and larvae develop within galls inside the fig, feeding on the tissue of the fig itself. 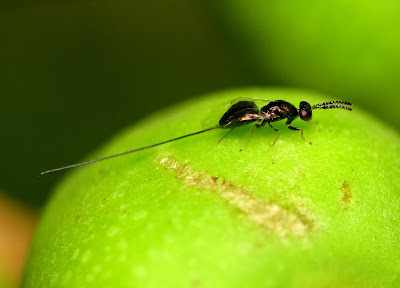 After developing into wingless males and winged females, the next generation of fig wasps mates within the syconium; pollination of the fig tree occurs through the young females leaving the fig to find their own laying places and carrying pollen as they do so. Female Idarnes nr flavicollis, a typical late-laying sycophagine, copyright Sergio Jansen Gonzalez. The fig benefits by having an exclusive pollinator, the fig wasp benefits by having a ready-made nursery for its offspring. However, all that tasty fig tissue is bound to prove attractive to others who would circumvent the standard contract. Another group of chalcidoid wasps, the subfamily Sycophaginae, includes prime examples of such freeloaders. Like the true pollinating fig wasps, these non-pollinating fig wasps develop in galls within fig syconia. However, instead of entering the fig through the ostiole, most sycophagines use their ovipositor to pierce the fig's outer skin and lay from outside. 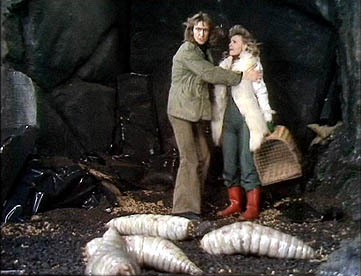 In some sycophagines, the ovipositor is relatively short and thick; these species lay their eggs when the fig is only just beginning to develop. In others, the ovipositor is longer and slender, longer in fact than the rest of the wasp, and oviposition happens later when the fig has grown to a larger size. In some of these later-arriving forms, the ovipositing female lays into a gall already induced by the fig's actual pollinator (how she finds it from outside the fig, I have no idea), and as well as feeding on the gall, her larva will eventually feed on the pollinator larva. There are also some sycophagines that enter the syconium through the ostiole and oviposit internally; I haven't been able to find whether these species may function as true pollinators. Female Sycophaga ovipositing on Ficus sur, copyright JMK. As noted above, pollinating agaonids exhibit strong sexual dimorphism with only the females having wings, and males never escaping the host syconium. The wingless males cannot be easily recognised as belonging to the same species as the females; indeed, if one does not already know what they are, they can barely even be recognised as wasps. In sycophagines, matters are a bit more complicated. In some species, males are wingless and highly modified as in pollinating fig wasps. In others, males are winged and similar in appearance to females. And in still others, wingless and winged males are both present within a single species. I don't know what determines whether a given larva of these species develops wings or not; both forms may develop within the same syconium. It has been suggested that the presence of the two forms is related to conflicting pressures of gene flow vs speed. Winged males that can look for mates outside the parent syconium have a better chance of finding mates outside the pool of their own siblings, thus avoiding the risk of inbreeding. However, wingless males can mate with females immediately after they emerge within the syconium (if not before, as I'll explain shortly), in which case the winged males may simply find themselves too late to the party. Certainly there is a correlation between winglessness and the size of broods. Early-ovipositing species, which tend to produce smaller broods because the younger host syconium offers less space for egg-laying, are more likely to have winged males whereas males of later-ovipositing species are more likely to be wingless (Cruaud et al. 2011). Male Apocryptophagus, copyright Centre for Biodiversity Genomics. Males of the genera Sycophaga and Apocryptophagus (which Cruaud et al., 2011, suggested should probably be synonymised) are invariably wingless and have elongate, flattened, extensible gasters. The terminal pair of spiracles on the abdomen have the surrounding peritremes (supporting rings) extended into a pair of long filaments. In the host figs of these genera, the interior of the syconium becomes filled with liquid after being pollinated by its associated agaonids; the liquid is resorbed when the pollinators emerge. Nevertheless, there are advantages for the sycophagines in emerging before the pollinators: not only could the interior of the syconium become rather crowded, males of some agaonid species have enlarged mandibles that they may use to dispatch any interlopers. So instead of waiting for the syconial fluid to drain away, the male Sycophaga cuts a small opening slit in his gall (too narrow for the surrounding fluid to seep in) through which he partially emerges into the central cavity. The peritremal filaments are used to anchor the end of his gaster within his original gall so that he can continue to breathe from the air-pocket inside it while he stretches out in search of another gall containing a female. When he finds one, he will cut into it in the same way that he cut out of his own, then release the end of his gaster from its anchor-point and quickly slip into the gall of his intended. After a brief mating, he can repeat the process, this time using the female's gall as his air-tank (Ramírez 1996–1997). The female presumably emerges once the syconial fluid is gone. 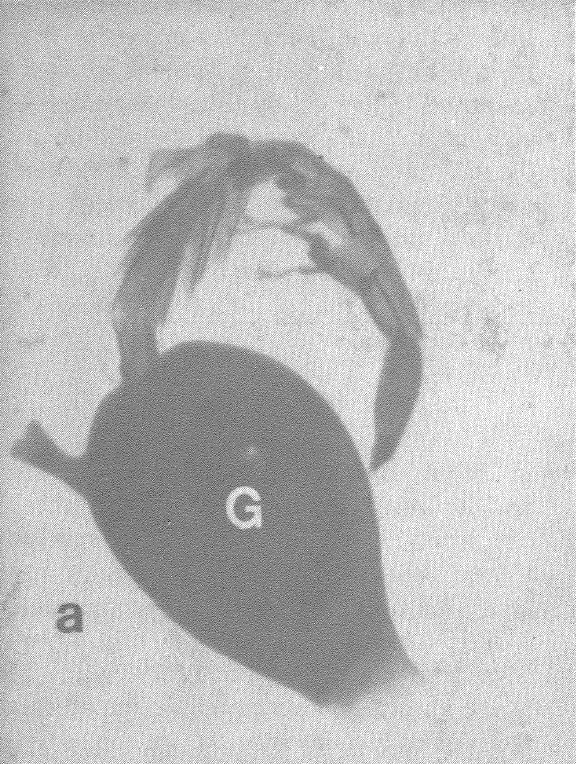 Male Apocryptophagus emerging from a gall containing a female, from Ramírez (1996–1997). There have been various viewpoints about the relationships of Sycophaginae to other chalcidoids. Some authors have included almost all the fig-associated wasps in the Agaonidae, whether pollinators or not. Others have restricted the Agaonidae to the true pollinators and classified non-pollinating fig wasps such as the Sycophaginae with the poorly defined family Pteromalidae. An analysis of chalcidoid relationships by Heraty et al. 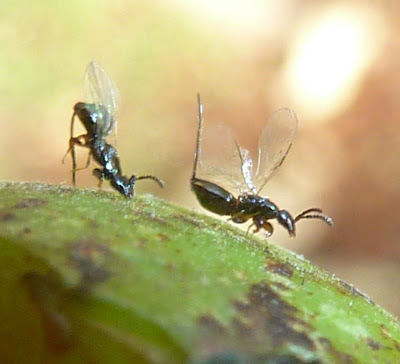 (2013) identified Sycophaginae as a sister group to Agaonidae sensu stricto (while placing other groups of non-pollinating fig wasps elsewhere on the tree). 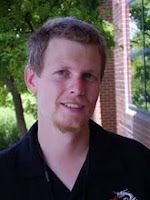 This might lead one to consider the possibility that the gall-making habit seen in both Sycophaginae and pollinating Agaonidae pre-dates the evolution of the wasp-fig relationship as pollinators. Perhaps the evolution of the syconium allowed figs to convert gall-makers that had previously been parasites into partners. Cruaud, A., R. Jabbour-Zahab, G. Genson, F. Kjellberg, N. Kobmoo, S. van Noort, Yang D.-R., Peng Y.-Q., R. Ubaidillah, P. E. Hanson, O. Santos-Mattos, F. H. A. Farache, R. A. S. Pereira, C. Kerdelhué & J.-Y. Rasplus. 2011. Phylogeny and evolution of life-history strategies in the Sycophaginae non-pollinating fig wasps (Hymenoptera, Chalcidoidea). BMC Evolutionary Biology 11: 178. Ramírez, W. 1996–1997. Breathing adaptations of males in fig gall flowers (Hymenoptera: Agaonidae). Revista de Biologia Tropical 44 (3)–45 (1): 277–282.